The 4-star Pullman Liverpool Hotel is located by Kings Dock on Liverpool's iconic waterfront, just a five-minute walk from the vibrant Albert Dock. Relax in stylish, elegant surroundings and enjoy the conveniences of this central hotel. Major transport links are close, as well as the M&S Bank Arena , Liverpool ONE and the famous Cavern Club. This hotel is perfectly suited to business or leisure; guests can choose from Superior, Deluxe and Suite rooms, all of which are bright, modern and luxurious. Guests are invited to dine in Marco Pierre White's Wheelers of St James Oyster Bar and Grill, which serves beautiful seafood, meat and vegetarian dishes. The restaurant is ideally located next to Liverpool's event campus, great for pre-show dining. The flexible meeting and event space boasts floor-to-ceiling windows and panoramic views of Albert Dock - the perfect setting for any occasion. To end the day, or night, in style, choose a room with a guaranteed river-view. Wheeler's of St. James's Liverpool is located next to Liverpool's event campus, consisting of M&S Bank Arena , ACC Liverpool and Exhibition Centre Liverpool, great for pre-show dining. The room was comfortable with a nice view. The breakfasts were great. Generally positive experience with one or two points of detail needing attention. Attractive modern hotel. Comfortable bed with good shower. Room cleaning done well. Excellent breakfast with good seating allocation every day. Check in and out and concierge talking bags pleasant and efficient. A few negatives: Waiter service of tea and coffee at table at breakfast is a nice idea, but staff need to be more proactive and better trained at catching people's eye. Lunch in lobby. We arrived at 12.15 and were warned in advance that several items would 'take a long time' to appear. Not good for a hotel focused on conference trade. Room service. I didn't use it, but there was a used tray with food items on it left in the corridor all day and overnight - never a good sign. Warmly welcome, appreciated that we were celebrating a birthday and treated us accordingly. From the friendly, informal (in a great way) meeting of the front desk staff , to checking out and all in between, I had yet another fantastic stay at Liverpool’s premier hotel. Really enjoyed our stay, great staff, clean, comfortable and spacious rooms. Absolutely perfect stay, lovely executive grade room with everything you need, really polite and helpful staff, excellent restaurant, great location, will certainly be returning !!!! A conference on at the same time meant little sleep for guests due to blaring music until the early hours. Our family had a fantastic time staying at this hotel. The staff was excellent and the location was perfect for the conference. Everything was within walking distance. This Hotel is central with lovely staff, very modern too. 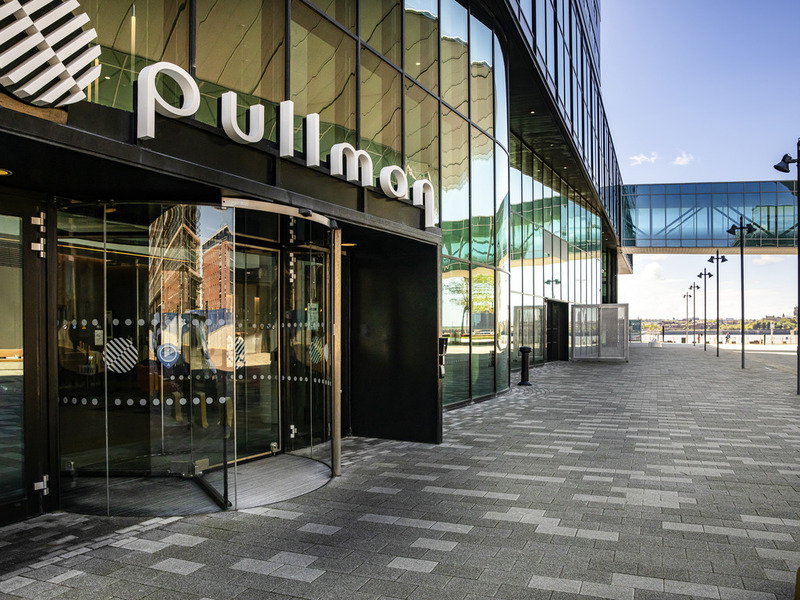 A great three days spent at The Pullman Liverpool. A Solicitous service provided by the staff - attentive, caring and considerate. Lovely room with great view of the River Mersey. SOME NEGATIVES : The lighting in the bathroom could have been brighter. Wardrobes too small for two people and not enough hangers. There was not enough cupboard space to place your socks, underwear etc..etc. The air con in the room I found difficult to use. Would have preferred carpet on the floor of the room rather than hardwood. More bar staff to be on duty during the happy hour as it took ages to be served. The food in the restaurant and at breakfast was very good. Would I return ?........Ans YES ! I hope the above helps. Enjoy. Staff friendly, supported with taxi for later in the evening. Room comfortable and clean, all amenities available and working. My only build would be having just 1 bath towel and hand towel. Whilst I was a single traveller this is highly unusual and felt like the hotel was trying to cut back a little on laundry etc. Fresh milk in the room would also be a nice touch. Overall a really good hotel, sadly the breakfast was disappointing as it was cold.